The rest ones like Windows 32/64bit, MACOS & iOS Simulator compiled successfully. Is there any help for this? What IDE are you compiling the sources for? Do you have all the updates installed in it? We want to compile the source for RAD Studio Delphi Berlin 10.1. Also all updates have been installed. The v2016.19 Pro with sources compiles and installs fine for us here on RAD 10.1 Berlin Update 2. Have you modified the sources? Have you tried to run TeeRecompile "as administrator"? This time I tried to run as administrator the TeeChart Recompilation tool as you proposed. The error is still visible. Regarding the source files , we have not modified anyone ad to be sure we run the process in another laptop (second license) and still the same. I tried to uninstall TeeChart , install it again (run as admin) and then recompile (as admin). Is there any case, any of the options & packages for compilation (in our case I have checked all of them) could create any conflict? Also, I observed that when tool starts to compile each one of ios/android devices, gui often stucks and window appears like "not responding). Lets say that for now we can do our job with compilation files for win32/64 , macos and ios simulator: Is there any possibility that this failed compilation has left any unwanted staff ? radberlin wrote: Is there any case, any of the options & packages for compilation (in our case I have checked all of them) could create any conflict? I could reproduce the fatal error you are reporting selecting "Debug packages compilation". I found another error arises if you select "Decision Cube". radberlin wrote: Also, I observed that when tool starts to compile each one of ios/android devices, gui often stucks and window appears like "not responding). The window usually hangs for me too (the compilations for the mobile platforms are quite slow), but it gets responsive again if you let the process finish. 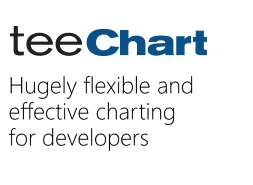 I guess you are interested in TeeChart .NET, not TeeChart VCL/FMX.